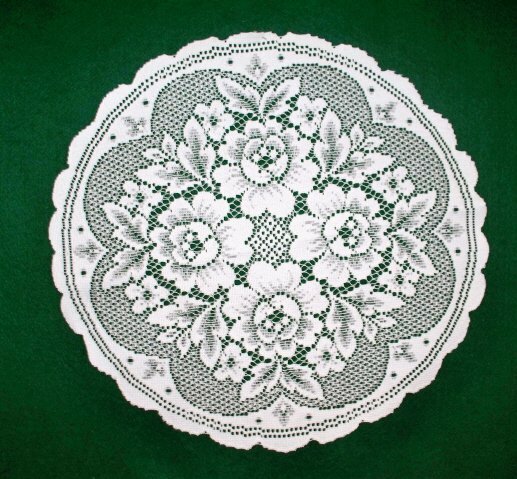 This lovely Victorian Rose pattern doily will add sophistication and elegance to your home decor. Machine wash-gentle cycle-lay flat to dry. This lace has a cotton look and feel. ATTENTION INTERNATIONAL BUYERS: USPS (United States Postal Service) have increased shipping cost dramatically, especially smaller weight items. We want to save you money on shipping cost. The more you purchase the cheaper the freight. Complete your checkout and pay. If you have purchased more than one item or combined items, we will weigh all the items together and will refund you back for any over-payment through Paypal.